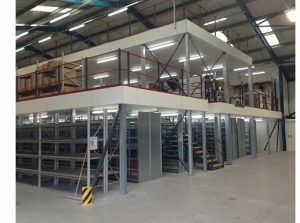 A mezzanine floor can develop an unused space in your building into a wide variety of functions and uses. By increasing the floorspace you create the potential for additional warehouse storage, a larger showroom area or a purpose built new office. 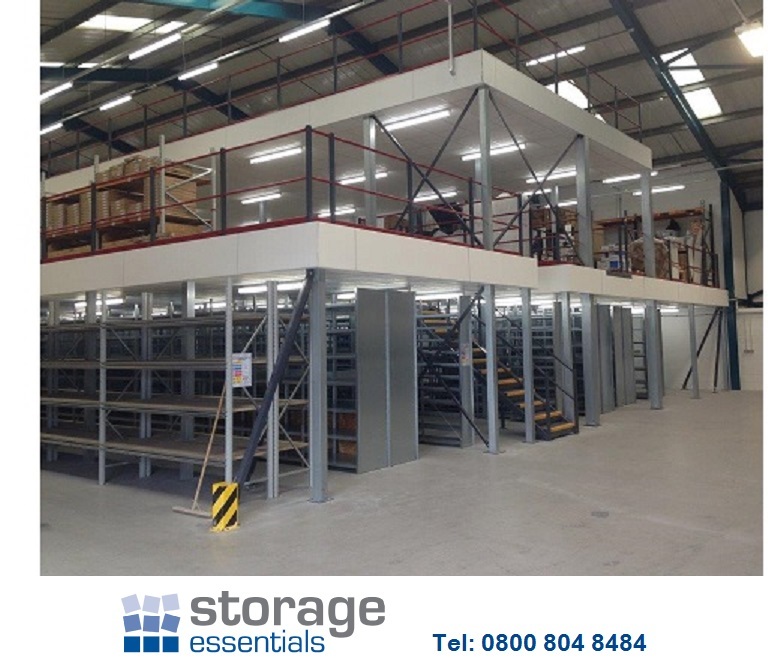 At Storage Essentials, we supply bespoke mezzanine floors, which are built to your exact requirements to make the most of the unused space in your high-ceilinged building, whether they be industrial or traditional construction. These semi-permanent steel structures are quick to install and can be fitted out to offer one or a combination of functions as required. Built to exacting British Standard requirements, we can also deal with any planning permissions required on your behalf. Storage Essentials high quality mezzanine floors offer an excellent solution to increase your floorspace area at a fraction of the cost of a traditional new build. Contact us today for more details or to request a free no obligation site survey.